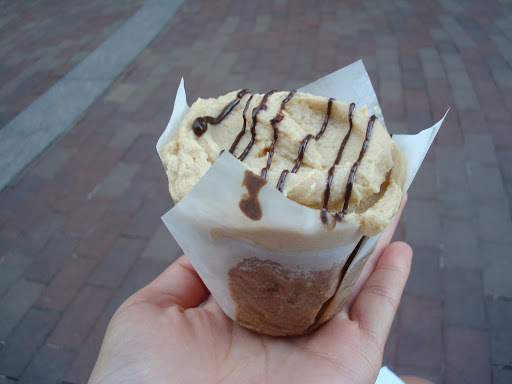 My sister knew I was jonesin’ for a new bakery to try out when I went for me D.C. visit (Georgetown cupcake is fine, but I wanted to step it up a notch), so she took me to a wonderful place called Baked and Wired. 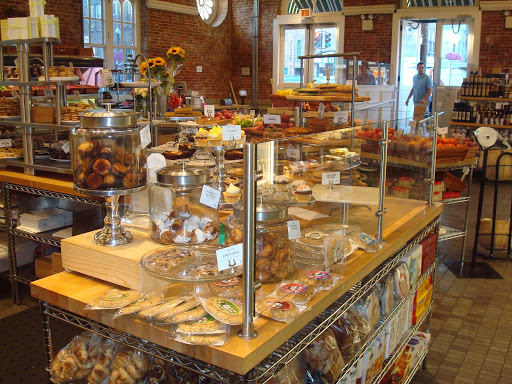 It was a combination coffee shop/hip lounge/mouthwatering bakery counter. The atmosphere was very relaxed, but that is probably because they know they have the baked goods market in the bag. 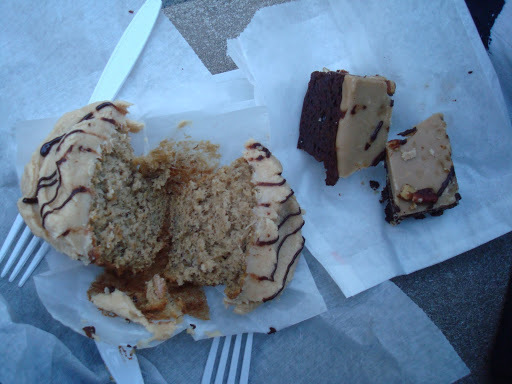 My sister and I split a Honey Badger brownie (maple, nutty, chocolaty, fudgey dream) and an Elvis cupcake (banana cupcake with chocolate, peanut butter frosting)…they were both heavenly to say the least! Note: they are definitely meant to be shared (they are quite rich), but they were absolutely savored by all. 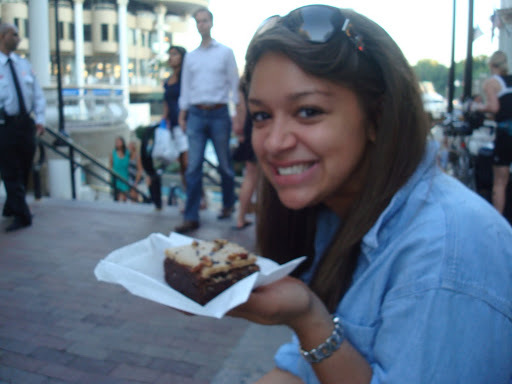 Georgetown is known for its good food and health conscious population. Sweetgreen is essentially an upscale salad bar, which offers both the usual and unusual salad toppings; tomatoes, sprouts, beets, chickpeas (falafel), eggplant, quinoa, radishes, avocado, etc. I was excited to try it and the array of toppings only added to my hungry anticipation. However, when I sat down to eat it, I was less than impressed. Overall I would rate it as okay, my salad was interesting (beets, craisins, sprouts, quinoa) but no one flavor jumped out at me and I felt like your money (the salad was $10) would be better spent buying your own ingredients. I know I may be biased because I love going into specialty food stores/health food markets to merely browse the wonderful and delicious products; however, Dean and Deluca is an absolutely delightful establishment and it pains me that there isn’t one within walking distance of my house. They specialize in gourmet foods from baked goods to pastas, cheeses, wines, candy, sushi, produce… the list goes on and on. The displays are bright and alluring and the store space is very open, which I love. Not to mention, they had an outside seating area with an adorable coffee bar. I made two trips here in my 3 days at D.C. and would highly recommend it to anyone who has yet to grace its aisles. Let’s switch gears now to my two week Montana visit in which most meals were homemade, however, the few that were purchased outside of my aunt and grandparent’s home were surprisingly lovely, especially at one in particular. I was working in my aunt’s office on a project pertaining to plant sterols and when it came time for my lunch break, I felt it only appropriate to focus the majority of my meal on vegetables. She took us to this tiny sandwich shop, less than 5 minutes from her office in Libby, Montana and told us we couldn’t go wrong with any of the selections. 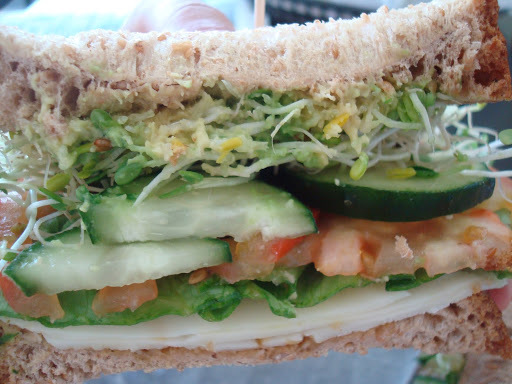 I immediately zoned in on the vegetable sandwich. 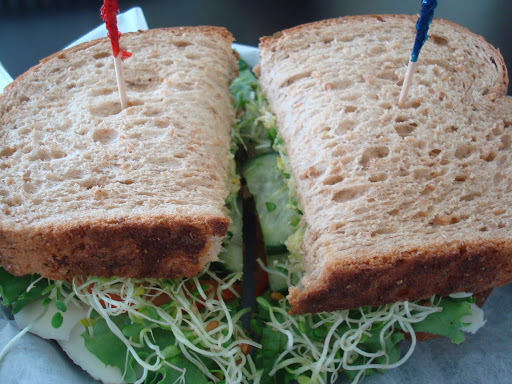 The sandwich was comprised of a hearty wheat bread, sprouts, tomato, avocado, lettuce, cucumbers, provolone cheese and spicy honey mustard. It was so divine, I went back as soon as I could to have another. The staff was very friendly and even remembered my order when I came in the second time around. I look forward to many more trips this year and will keep you all posted on all of the delicious foods I hope to encounter. Beneficial Bite of the Week!! !